I was goint to try this one out, but it requires iOS 7. Great GFX and controls. Ranked mode (random 1v1) is fast and fun! 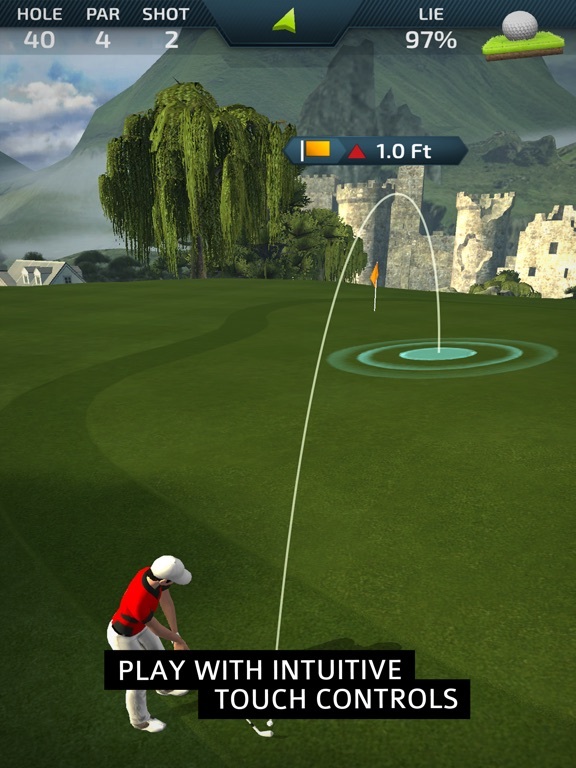 Best mobile golf game out there, hands down. I don't really gel with realistic golf games but this is hitting the spot surprisingly. I like my golf in an Everybody's Golf/Putt n Putter comic style but this is a nice blend of both. This is actually pretty darn good! I didn't use any "powers" yet. Completed the first 18 holes with 2 under par (would have been 7 under were it not for an awful 2 shots in the drink on the same hole!!) and it feels pretty fair and refined physics. I do hope the powers don't add unrealistic abilities like after touch spin or hole magnets or anything that EA would do! It's only a realistic golf game if I can throw my clubs and cuss... Is this in the game? Very fun game. One thing I'm confused by: does ranked play give any rewards beyond simply advancing through the ranks? It's actually a nice little mode but it feels pointless without earning coins. 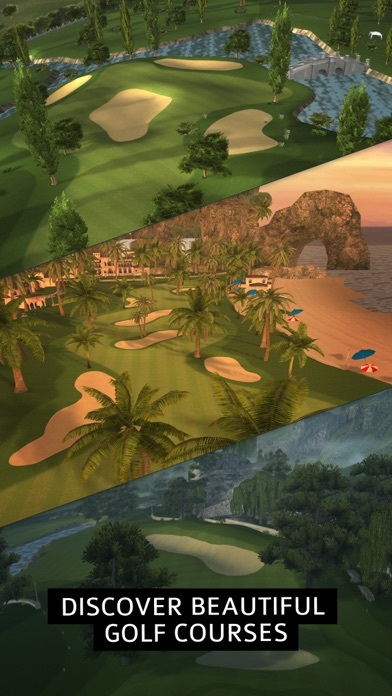 There are some realistic aspects to this excellent game, but its strength is how it departs from conventional video golfing games by introducing challenges for each hole and the cleverly designed swing mechanic that enables control of power, direction and spin with only two touches. Probably my favorite aspect of the game is putting, where the graphical treatment and ability to read greens are fantastic. 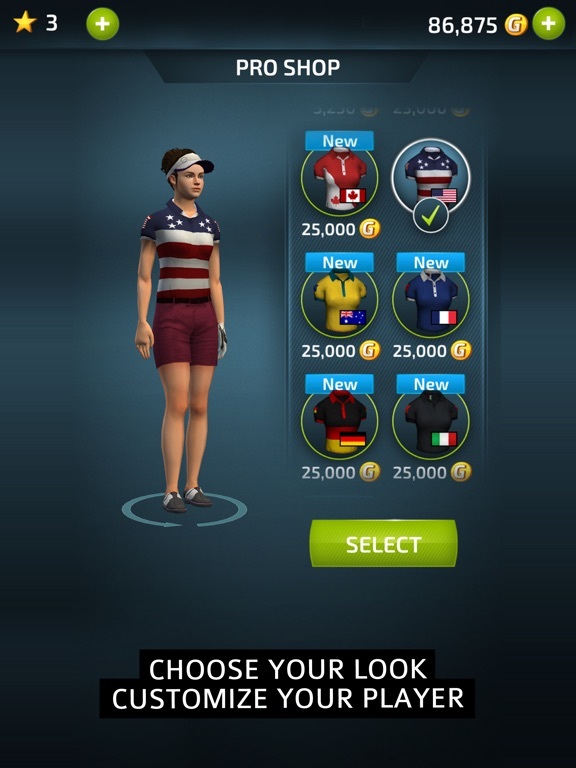 I've played 18 holes so far (for free), and purchased additional coins to buy more holes. 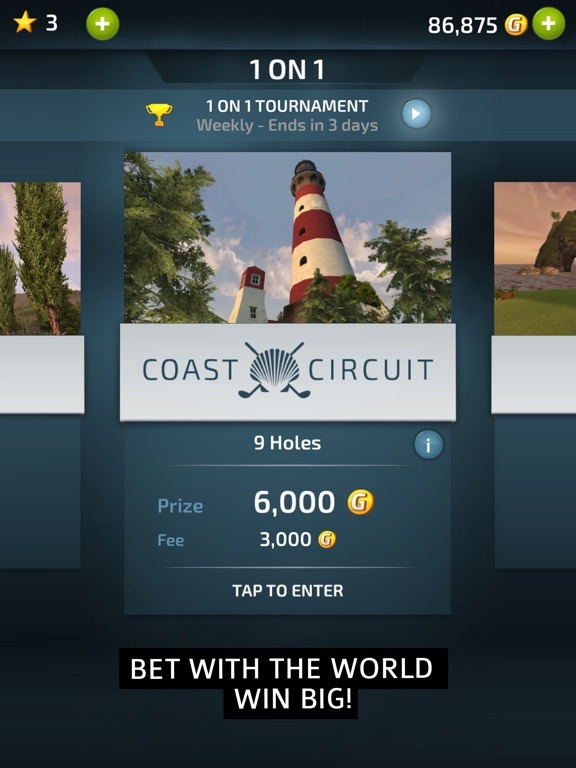 Do you pay coins to unlock more courses/gear etc? And if I buy the vip package would I still need to buy coins? This game deserves some attention here. Definitely some of the best golf controls I've come across in some time. IAP structure is above average in terms of what you can do for free. 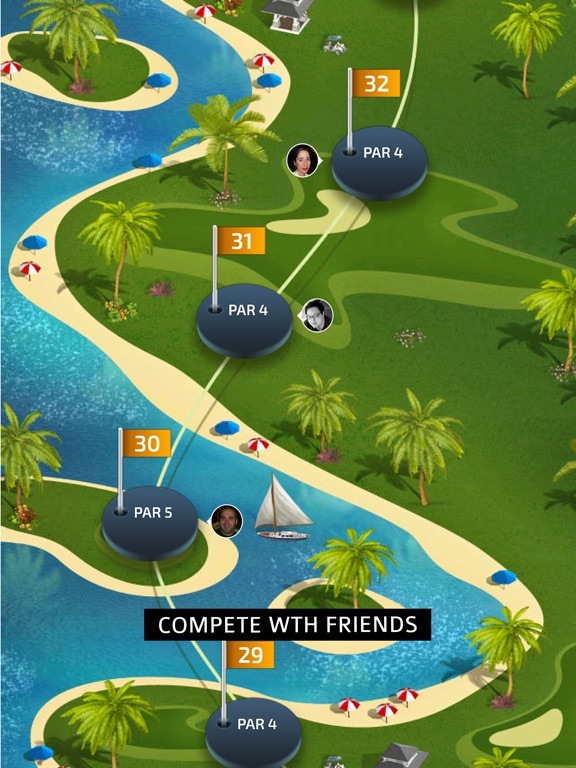 You can earn coins from daily challenges, star challenges on each hole, and match play. There is only one currency and no timers. The only place you really get "stuck" is to buy the new courses, but I've found it quite easy to go back and earn coins from star challenges. They could do more to make the $9.99 IAP worth it. It would take a long time to have the additional coins you win from daily challenges add up to the amount you get from simply buying $10 worth of coins. And the other benefits are pretty useless, as the matches move so quickly that getting additional rank play slots doesn't help. I also still wish that you got more benefits for ranking up in multiplayer. There should be rewards for reaching each rank. Right now it's just 50 gold per win. I don't get what you mean by "only one currency ", I'm seeing stars and coins. 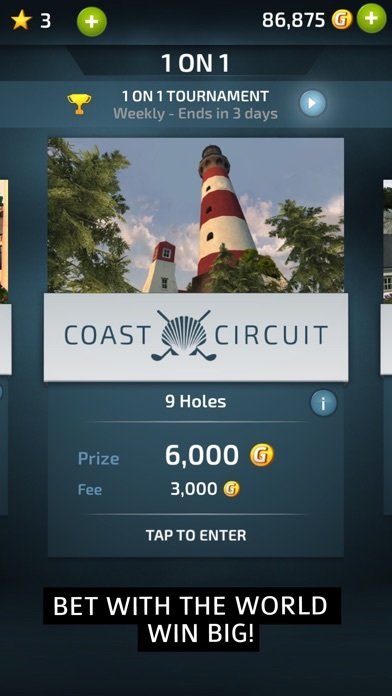 I got the VIP package as I like the "feel" of the game, but I'm still seeing hefty coin costs to unlock gear and new courses. Guess they need to get back money somehow for this highly polished and fun game. 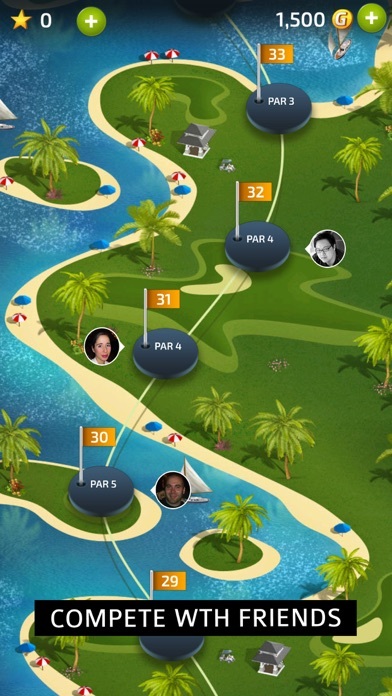 I would like to see a plan view image of the course, as the "fly through" doesn't let you plan a route to the green. At least provide a button so we can watch the fly-through a few times - I feel I'm going in blind on a lot of the holes. 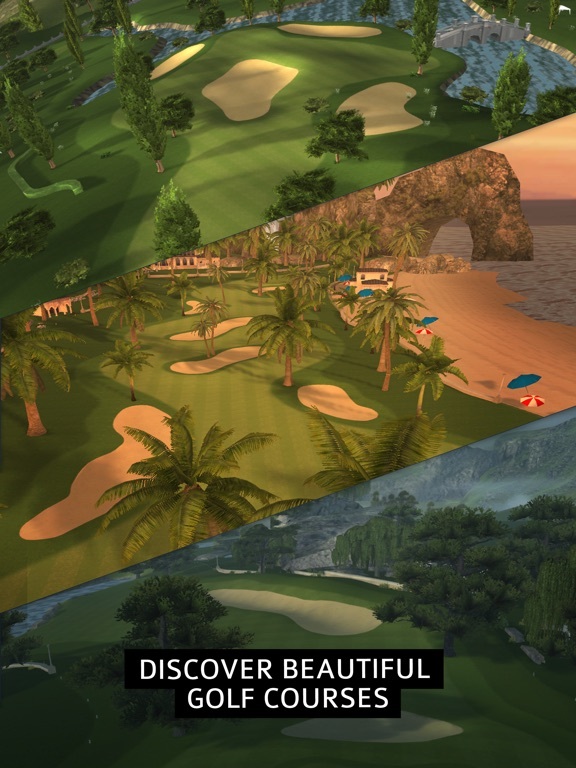 I'll be playing this for a long time to come, and I look forward to seeing additional courses added as promised, and maybe a few improvements. 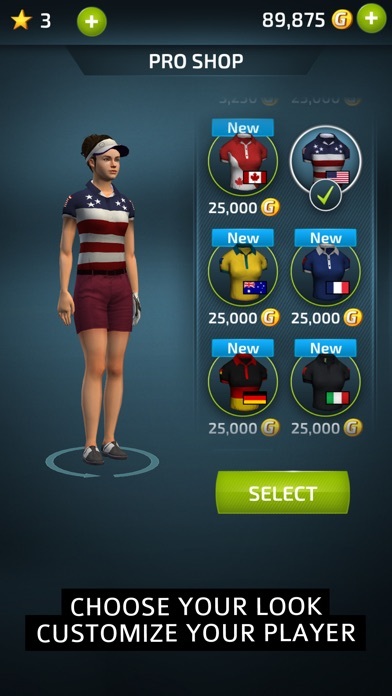 I 've been playing golf sims since they began and think this is one of the best. 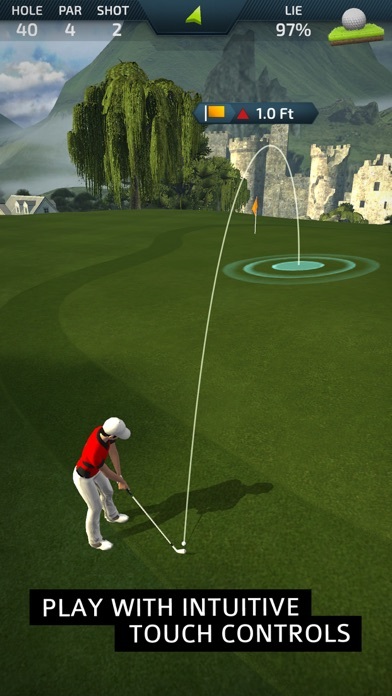 When the ball grows (the one you tap at the right time to hit the ball), tapping at different positions will add spin. Top for top spin, left for left spin etc. I guess I'm not counting the stars as a currency, since you don't actually "spend" them. They're just progress markers that unlock different items/courses, like in Super Mario 64. You are right that courses get expensive, but as long as you're willing to forego upgrades and are patient with the daily challenges, it's not too bad. It's easy to get 550 gold/day from the challenges. Anyway, I'm in agreement that this is one of the better golf control schemes I've ever seen. Simple, fast, fun, but allowing for clever shots. Love it. Anyone still playing this? I'm having serious issues with game progress being lost repeatedly. Completed a course, unlocked the next, and when I played it again, found myself back on the second hole of the previous course with all progress and course unlock gone - this data loss seems to be a recurring issue. Until they fix this, I'm done with this game. I'm playing. On hole 60-something and haven't had any problems like that. I've had no issues until yesterday and now I can't see a daily challenge anymore and every time I shut the app down I lose all progress...... Shame I was still enjoying playing this.